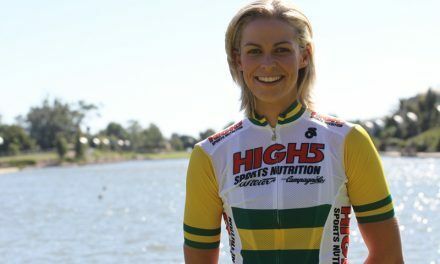 Kendelle Hodges was a key member of the 2015 National Road Series winning squad who worked tirelessly throughout the season to reach the teams objectives, and to develop herself as a rider. We review the season with her here. A. There were many highlights throughout the year at different races. For me being a part of a winning team alongside friends and knowing that I had given all I could to help others in the team was a highlight. There has been some really tough races but it has been an enjoyable year and one that I have learnt a lot as a rider. A. 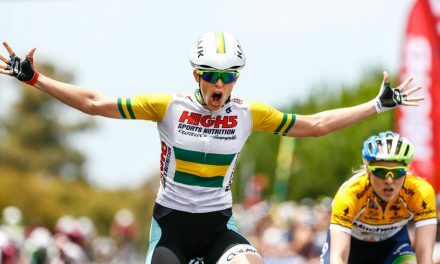 For me I enjoyed the second half of the NRS season more than the earlier races. Each had their highlights but standouts for me were the Cadel Evans Great Ocean Road Race, Tour of the King Valley and Tour of the Goldfields. 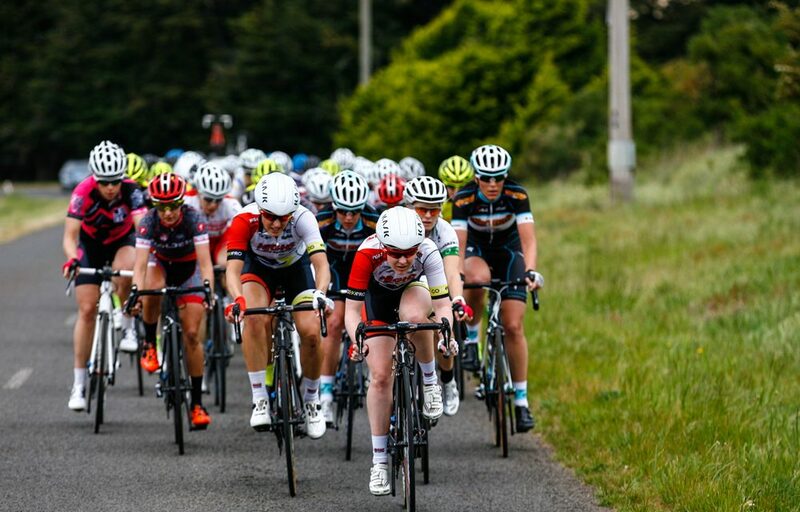 Cadel’s Road Race was on roads I train on and the girls that race internationally were still home making for a great race. King Valley had its highs and lows for our team but I found it rewarding being able to work for someone (Georgia) who you knew would never give up. 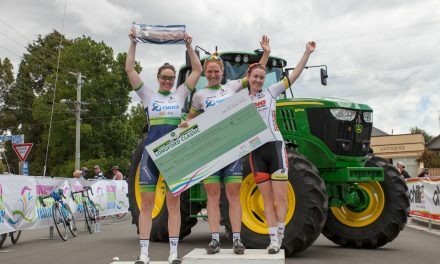 Goldfields was a great way to end the year with the girls and winning the team time trial was a highlight. A. I have many favourites including the banana protein bars and the caramel energy bars but the product I use the most is the zero tabs for hydration pre and post riding. A. It would be difficult to recall how many Gels I consumed over the year, we raced a lot of kilometres and ate a lot of gels! We were never short of gels that is for sure. I always had an extra few if the banana flavour were brought to a race though as they became my favourite. A. Most likely learning to be more patient. A. Jess and Georgia love to have a good dance before races. A. It has been a successful year for our team and that is partly because of the way the team is run and the fun we have as a team. I have loved being a part of that and all of us learning to race together. I also am very fond of the Willier zero.7 Race bikes with Campagnolo EPS running gear that we get to ride. A. I am really looking forward to the 2016 season. 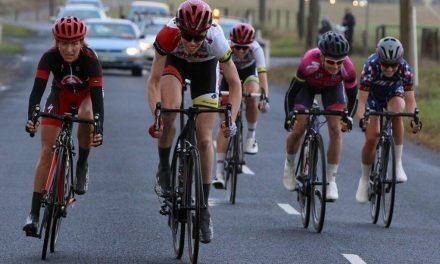 I have spent this year developing areas of cycling I wanted to improve and I am hoping to see the effects of that in 2016 and aim to achieve some personal results.